Chess is a great game just the way it is. However, there are some fun and exciting variants of chess you might like to try. All of them use a standard chess board and pieces, but they have some slightly different rules. Each variant will teach you something new and interesting about chess. They are fun to play, and they will sharpen your mind and your chess skills. If you get tired of playing normal chess, you can enjoy these fun chess variants. Give Away Chess: The object of the game is to give away all your pieces. The first person to lose all their pieces wins. The trick to this game is that if you can take a piece, then you must take a piece. You are forced to capture. If you have a choice between two or more different ways to capture, then you can choose which way, but you must capture if you can. The king has no special value in this game. It is captured just like any other piece. This game is wild, fast moving, and fun! No Take Chess: Pieces move normally in this game, but they cannot capture. It is the opposite of give away chess. You can never capture a piece. Two opposing pawns that are blocked will never move for the rest of the game. One of the strategies in this game is to invade the opponent’s territory with your pieces, then leave them there since they cannot be captured. You must still get checkmate to win. Checkmate often comes when a queen moves next to the opponent’s king, or when a knight gives smothered mate. This game usually does not last very long. Madhouse Chess: This is a very crazy game. Whenever you capture a piece, you immediately place it back on the board. 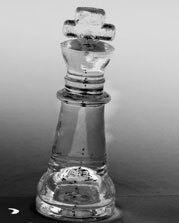 You can place it on any open square you wish, except pawns cannot be placed on the first or last ranks. 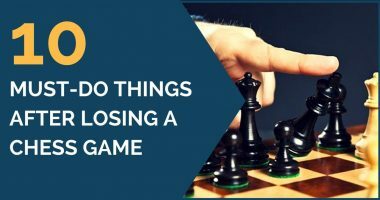 You do not have to worry about losing your pieces in this game, because they always come right back. However, they may not come back where you want them. One of the strategies in this game is to capture the opponent’s queen and then place it in a corner of the board behind its other pieces. Then you can bury it there by placing more pieces around it so it cannot get out. Likewise, you may try to expose the opponent’s king by capturing the pieces around it and then placing them back on the board somewhere else far away. You must still get checkmate to win the game. Superman Chess: In Superman chess, the king is much more powerful than a normal king. It is like Superman, and it moves and captures like a queen! But there is one time when the king is not so powerful, and that is when it is in check. When the king is in check it is weak, like kryptonite to Superman, and it reverts back to moving and capturing like a normal king. This is necessary because otherwise it would be almost impossible to put the king in checkmate. As soon as the king gets out of check, though, it goes back to being Superman again, and it moves and captures like a queen. One interesting side effect of this game is that the two kings can never line up across from each other, because they would have each other in check. Fairy Chess: In fairy chess, pawns move and capture like kings. They can move and capture one square in any direction, including sideways, diagonally and backward! They can also move forward two squares on their first turn, just like a normal pawn. This makes fairy pawns much more powerful than normal pawns, and eliminates positions where two opposing pawns block each other. In fairy chess, opposing pawns can capture each other. Also, when a fairy pawn reaches the last rank, it does not promote to a queen. It stays a fairy pawn and it can move sideways or backward to get off the last rank. 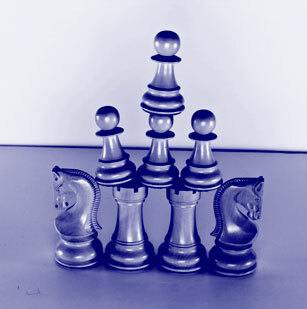 Bughouse Chess: To play bughouse chess, you need two chess sets and four players. Two players form a team and play against the other two players. The chess sets are set up next to each other, and each team has white on one board and black on the other board. You play against one opponent on your board, and your partner plays against one opponent on the other board. The interesting part comes when captures are made. When you capture a piece, you give it to your partner. When it is his turn, instead of moving a piece, he can place it onto his board on any open square. Or, he can hold it for a while and place it later. When he captures a piece, he gives it to you, and you can place it onto your board when it is your turn. The only restriction when placing a piece is that you cannot place a pawn on the first or last rank. When a pawn moves to the last rank, you lay it on its side and promote it as usual, but when a promoted pawn is captured, it reverts back to being a pawn again. As partners, you can talk to each other and ask for a piece that you need, or ask your partner not to give the opponent a piece that he needs. This game is very social and a lot of fun. 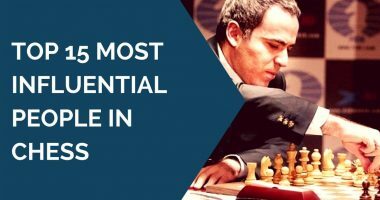 TOTAL CHESS is your complete guide to chess. It covers everything: rules, strategies, tactics and checkmates. Everything in chess comes in threes. Three simple strategies are presented for the opening, midgame, endgame, etc. Each lesson is brief and covers one concept in simple language that everyone can read and understand. Добро пожаловать в Проект “Космические шахматы от Александра Ерохно”. Россия.